One of the things that I keep telling myself that I need to learn how to do is 3D printing. This morning, I ran across a couple more 3D printing projects for ham radio that I thought I’d pass along. These parts are made for use with 1-in. PVC pipe and 1-in. Harbor Freight tape measure steel. You can use electrical tape to attach the element holders to the side of the pipe, and use the driven element bridge to give structural rigidity across the driven dipole element. I have used this with up to 5 elements on 2m with good success. When not using the antenna, just pinch the elements to remove them from the holders, and store them INSIDE the tube! you can add some end caps to make this ultra portable. 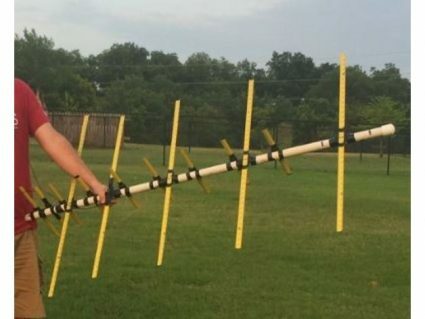 Use these parts with any of the multitude of tape measure YAGI design guides online. The element holders are attached to the boom with electrical tape in the photo above. While I haven’t tried it, I’d suggest that the antenna might be a bit more robust if you could screw or perhaps glue the holders to the boom. • Soldering Fingers (https://www.thingiverse.com/thing:1725308). This project looks simple and quick. • µBitx Case (https://www.thingiverse.com/thing:2925336). I still gotta do something with the µBitx I bought. This looks like it might get me started. Last week, I attended a 3D printing class at our local maker space, All Hands Active (allhandsactive.org), and now I feel like I can finally attempt a 3D printing project. I’m thinking about starting out with the simple Soldering Fingers project. If that goes well, I’ll try a Raspberry Pic case and finally start using that in the shack. And, while these projects all seem pretty cool, I feel like I’m only scratching the surface. 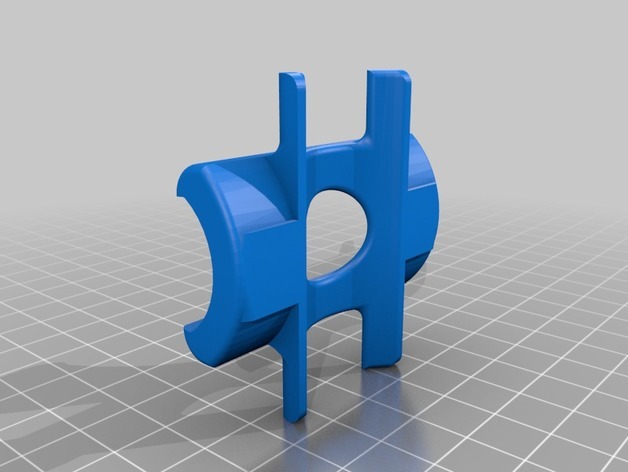 Have any of you 3D printed anything cool for your ham radio projects? Is there another source of designs for ham radio 3D printed stuff besides Thingiverse? When he’s not 3D printing enclosures for his ham radio projects, Dan blogs about amateur radio, writes exam study guides (www.kb6nu.com/study-guides), and operates CW on the HF bands. Look for him on 30m, 40m, and 80m. You can email him about your experiences with 3D printing at cwgeek@kb6nu.com.